“Boney M” once sang, “I don’t like cricket, I love it” and, as anyone who has ever stepped foot in the Caribbean will tell you, Cricket here is not so much a past time, more a national obsession with games played everywhere from beaches to high tech stadiums. Here we take a look at some of the best places to watch Cricket in the Caribbean. Situated just 20 minutes from the capital of St Johns the Sir Viv Richards Stadium was built in 2007 for the cricket world cup. Boasting a capacity of 10,000 and with a build cost of $60 million the stadium is Antigua’s premier cricketing venue with training facilities and a media centre all incorporated. As a result of its superior facilities and quality playing surface the stadium has hosted numerous T20 matches as well as the Barbuda football team. Stay At: Blue Waters Resort. Just 20 minutes by car from the stadium not only will you pass one of the Caribbean’s premier golf courses on the way but you’ll get to take advantage of a beachfront location, exceptional service and a family run atmosphere. The resort regularly features in the Top 10 lists for Caribbean hotels and offers a spa, swimming pool and luxury suites among its facilities. Known for its electric atmosphere The Kensington Oval is one of the most historic venues in the Caribbean boasting having been the home of Cricket on the island for 120 years. 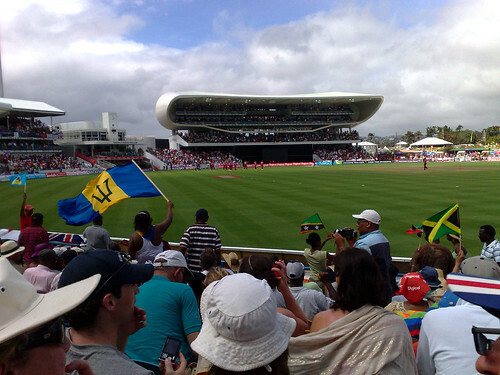 With a capacity of 11,000 The Oval was redeveloped by the same company responsible for redeveloping Lords Cricket ground in London and offers 8 practice pitches, 6 playing surfaces and unobstructed viewing with ergonomic seating for spectators, as such its one of the most popular grounds in the Caribbean for spectators and players alike. Aside from cricket the Oval also hosts the Barbados Football team, hockey, athletics and concerts featuring Barbados native Rhianna. 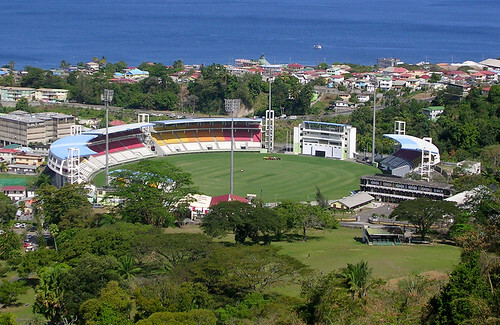 A modern facility having been opened in 2007 Windsor Park Stadium is the main sports stadium in Dominica and hosts cricket and football as well as numerous events including the Creole music festival. With a capacity of 12,000 the stadium, located in Roseau, is larger in size than others on the list and it must be said that its stature certainly matches the atmosphere created, particularly when the West Indies are in town! Boasting facilities including five playing services, hospitality suites and a media centre the stadium is a must see on any visit to the Caribbean.